This time around, the X4 hopes to be more clearly distinguishable from its X3 sibling. It's set up to have an engaging, sportier character and we put an xDrive20d M Sport through its paces. Can the sloped-roofed SUV justify its price premium? 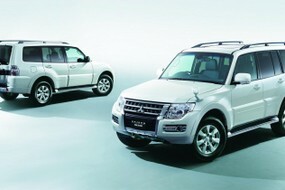 We like: Comfortable ride, good road holding, balance of performance and economy. We don't like: Not distinctive enough to overcome practicality loss over X3. Rather expensive. 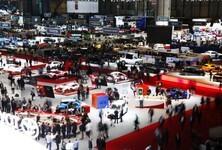 In a world where SUVs are the largest growing segment in the vehicle industry, trying to stand out from the competition is easier said than done. What manufacturers then did was blend coupe lines, sloping rooflines and sporty dynamics into its SUVs. 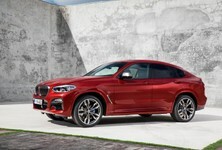 The result is an SUV Coupes just like this BMW X4, which is a sloping roofed version of the locally-built BMW X3. It shares the space with common foe Mercedes-Benz, which offers the well worn GLC Coupe. Surprisingly, Audi has not followed suit in producing a coupe version of its Q5, but there are plenty of other rivals such as the Jaguar e-Pace, Porsche Macan... and the upcoming Range Rover Evoque will probably want a piece of the action too. Raised ride heights and sloping roofs, the future we didn't ask for but were given anyway. For this generation of X4, BMW has done more than just file the roof down a bit to give its X3 a coupe-like look. It has a lower ride height, M Sport suspension and variable sport steering as standard. 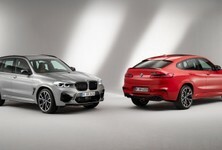 Compared with the previous X4, the new model is longer, wider, has a wider track and a longer wheelbase. Some of the changes improve sportiness, others – such as the stretched wheelbase – improve rear passenger comfort. 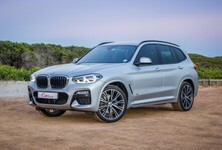 The xDrive20d derivative actually comes in a little cheaper than its petrol-powered counterpart and offers better consumption and acceleration, so unless you absolutely must have a petrol, the 2.0-litre turbodiesel version is sort of a no-brainer (if the range-topping X4 M40i is out of budget). 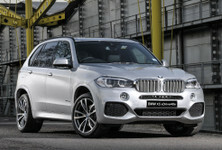 The X4 is underpinned by the X3 chassis and is standard with xDrive all-wheel-drive across the entire range. BMW isn't the first name you think of when it comes to AWD, most likely you'll think of Audi or even Subaru, but the Bavarian firm actually makes an extremely capable all-wheel-drive system for road use. Grip levels are tremendous, especially if you find yourself on a tricky, tight descent. There's far more adhesion than you'd ever expect partly due to the reduction in body roll. Through quick changes of direction, it doesn't bobble from side to side or take time to settle down. It's very well planted with a grippy front end that instils confidence when you want drive with enthusiasm – something that feels unnatural in an SUV. The variable sport steering becomes weightier at speed and is precise to inputs, but many will find the excessive heft in Sport and Sport+ modes a bit too artificial in feel. Leave the X4 in its Comfort driving mode; it will do a perfectly good job. There's plenty to like about the 2-litre diesel and 8-speed auto combination. Many experienced BMW drivers will quietly admit to the brand's turbodiesel engines are, as a matter of fact, the respective picks of their litters (excluding M engine obviously). 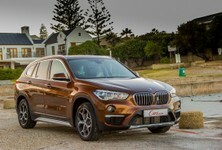 The motor employed in the X4 delivers 140 kW and 400 Nm of torque. The numbers are competitive with offerings in the segment, but when combined with the 8-speed automatic transmission, BMW's powertrain refinement shuffles to the front of the queue. We are getting to the stage now where automatic 'boxes have zero drawbacks compared with their manual counterparts. It's hard to pick a fault with this engine-transmission pairing as the shifts are well spaced, keeping the 20d comfortably in its peak torque band of 1 750 and 2 500 rpm. It's quiet at idle and has a pleasing bassy, grunty sound when accelerating at full tilt. Paddle shifters are installed on the steering wheel but are superfluous in almost all driving conditions. Acceleration and overtaking prowess too are both perfectly acceptable for an SUV like this. BMW claims a 0-100 kph time of 8.0 seconds, but you'll get the most enjoyment out of a diesel if you utilise the wave of in-gear torque to overtake vehicles at freeway speeds. Fuel consumption figures can be misleading, but the new WLTP test should provide buyers with more realistic expectations of what their vehicles will consume. On the older EU cycle, this engine was said to consume 5.6 L/100 km, which you're only likely to achieve on long journeys with minimal loads. Our readout after a few weeks was 7.2 L/100 km and the xDrive20d hauled a few passengers and their luggage for parts of the test. Part digital part analogue instrument cluster, BMW's way of slowly phasing out the old. We have criticised BMW for not being exciting enough with its interior design over the last decade, but we can never complain about the way Bimmer cabins are put together. The X4's interior is very sturdy to the touch and pleasingly rattle and wobble free. It's a familiar place to sit, with a few digital updates to the instrument cluster and a resolution upgrade for the infotainment system. The infotainment system works both by touch and via the rotary iDrive knob. You can opt for Apple Carplay, but unlike most systems, it isn't Android Auto compatible in SA. The M Sport seats and leather steering wheel are must-haves as the seats are far more supportive and comfortable than the standard seats. The thicker M Sport steering wheel gives you something more substantial to hold on to while driving and really lifts the premium feel for the driver. Look, we've become very good at nitpicking... An X4 looks very much the same as an X3 does from the front and although there is a slight handling gain to be had from the X4's lowered ride height, it still doesn't warrant the extra money you have to fork out for an X4 (R130 000). Length loading space is good, it's when you load upwards that the low roofline starts to get in the way. You also have to be absolutely sure that you'll never need to use that lost packing space that the sloping roof forces you to forego. One day, it's going to come back to haunt you; that's Murphy's Law, isn't it? How much do you lose exactly? In the actual luggage area, not much. 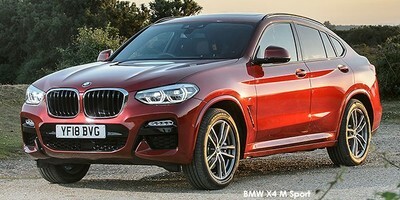 The X4 is said to hold 525 litres and claim for the X3 is 550 litres. Total loading space is where things change: the X4 has 1 430 litres, where the X3 has 1 600 litres (170 litres might be hard to imagine, but with a sloping roofline, it cuts a large chunk out of your ability to stack things above the parcel shelf). While aesthetic appreciation is entirely subjective, in a segment where the only real reason to choose a coupe SUV over a normal SUV is the looks, we have to at least address them. Does the X4 stand out enough in a crowded segment? Well, by looking at the rivals it arguably doesn't. The Macan has a Porsche badge on the front and looks quite unique, especially in the pastel colours Porsche has specced for the 2019 car. The e-Pace isn't a bad looker either and at the price of this X4, you can get a more powerful and higher specced e-Pace. It is a bit smaller, yes, but there's an F-Pace not too far above if space is an issue. The X4 isn't bad looking, it just seems a bit bland for something that sells itself on styling appeal. Wireless charging bay supports fast charging. M Sport steering will is a must-have. 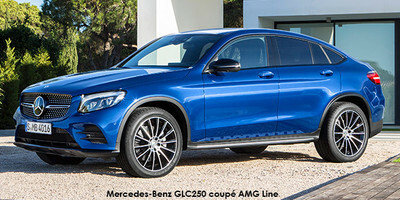 The Mercedes-Benz GLC Coupe is the direct rival but is now a few years older than the brand new X4. It has strong engines and a good looking body but lacks a little interior quality. The e-Pace is a little smaller than the X4 but still delivers that dynamic SUV experience. It's quite heavy but overcomes its weight with powerful engines and a stiffly sprung chassis. 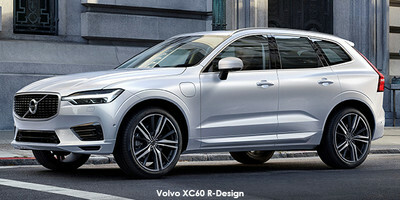 The Volvo XC60 is a more traditionally-shaped SUV but has the looks to match all the rivals above. It's more practical and super stylish inside too. The new Macan will only arrive in SA during 2019, but it's sure to hit all the right marks in terms of dynamism. The most expensive rival and will only be petrol powered. Looking for a new/used BMW X4 to buy?